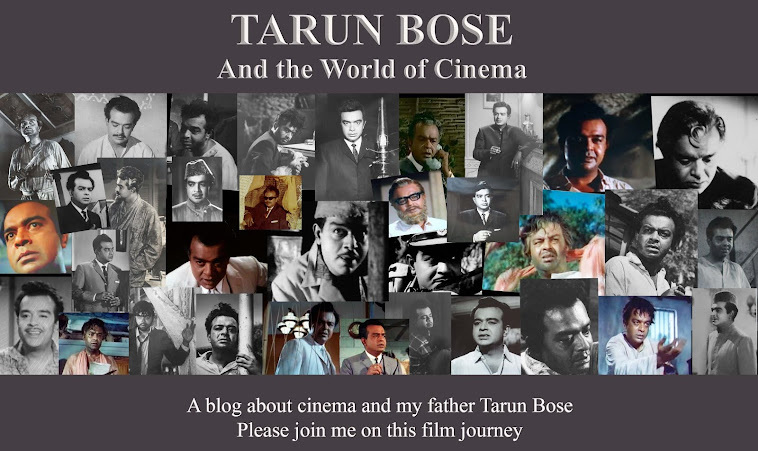 Tarun Bose and the World of Cinema: Forgotten Melodies - The Final Instalment- Beautiful Lyrics. Forgotten Melodies - The Final Instalment- Beautiful Lyrics. When I started on this list, I did not realize that I would be tempted to take it to 3 parts. I just could not help it, the songs those days were so good, the lyrics, composition, the rendition by the singers, everything was perfect. In my final post I have restricted myself to just eleven songs. I have highlighted a few of the lines that have particularly appealed to me in some of these songs. ek khwab khushi ka dekha nahin, dekha woh kabhi to bhul gaya. mile na phool to kaanton se dosti karli-- The film's credits show Indivar and Kaifi Azmi as the film's lyrics writers, I am not sure which one of the two has written the words of this particular song. A Google search indicated Kaifi Azmi as the lyricist, I have therefore named him as the writer of this song. issi tarah se basar zindagi karli,. khuda taraash liya aur bandagi karli. phir bhi na dar agar bhuje diye, sehar to hai tere liye. And last but not the least dheere dheere machal from Anupama. I couldn’t possibly conclude Forgotten Melodies without this song. Tarun Bose has been always associated with this song. roothke jee bhar sathaoongi main, jab manaenge woh maan jaaoongi main. I have now more or less come to the end of this blog. I have decided to do two more posts, one will be a post on memorabilia, we have loads of them, I will just pick out a few and post them here. The final post will be a list of his films with links to those films that are available on You Tube, I might also pick out a few of my favourite scenes from these films. As I come to the end of this journey, I have to admit this was quite a rewarding journey. Besides the comments on this blog, quite a few of my father’s fans got in touch with me through facebook and email. What was most surprising was this blog's statistics, I did not expect this for a blog which focuses on one individual who had a very brief stint in the film industry and passed away 42 years back. I was amazed to see that on certain days this blog gave some stif competition to my food blog. My next post will focus on some of the memorabilia, besides that I would also like to take you on a little walk down memory lane. Shilpi this is my 3rd attempt to post my comments every time i keep forgetting some field or the other. Hope this time it gets posted.All the songs r my all time favorites never get bored they only bring more n more happiness to my stressed soul n nerves. Especially dheere dheere machal what a song i say!. Shilpi, this is bittersweet. What a lovely set of songs! I must admit to having a very strong liking for Raaton ke saaye ghane. Love everything about the song - the lyrics, the music, the way it is sung - Lata was at her best. And the song from Anupama - Dheere dheere machal always makes me feel a tad bit sad. It is not just the song; the film is also closely associated with your father, no? If you ask me, it is Anupama and Sujata that I most associate with Tarun Bose. Both wonderful films, strong roles, and your father was brilliant in showcasing two sides of fatherhood. I agree with Anu about Sujata and Anupama being the films I always associate with your father. 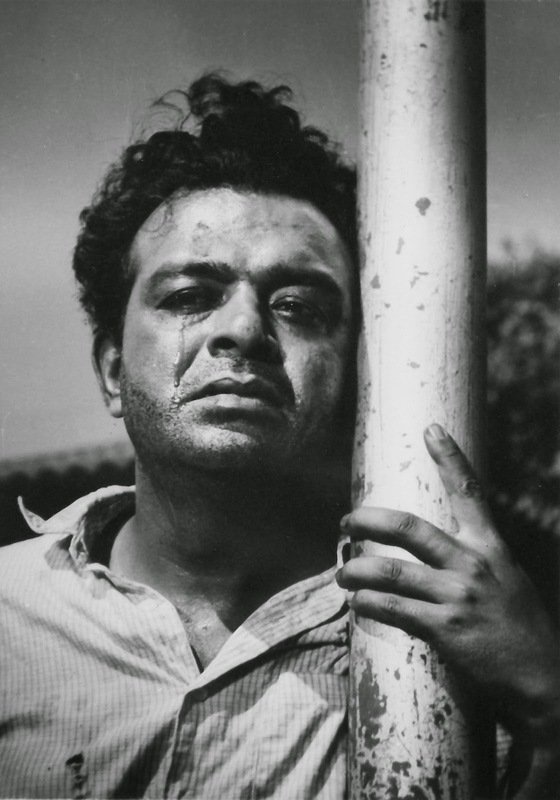 Even though I've really admired him in roles like the ones in Gumnaam and Anokhi Raat, the quintessential Tarun Bose for me is the one from those two films. He was so very good. And yes, I really liked your list, Shilpi! Some of the songs - the one from Oonche Log, for instance - were new to me, but there were others which I've liked a lot for the beauty of their lyrics. Especially Ya dil ki suno duniyawaalon (and more particularly the section you've quoted; it's so heart-rending). Shilpi, apropos your comment about sharing your father's memorablia - why restrict it to just a part of it? Why not everything you can remember? Every tiny scrap? And it is not just for selfish reasons I ask these questions (though, yes, I'm hungry for more information! ): it is also because we, as a country, are so bad at recording information that so much has already been lost. You are Tarun Bose's daughter. How much more value does a daughter's recollection of her father - as an actor, as a person - have under such circumstances? In the final reckoning, it will be your blog which will stand testimony to a 'written' record of your father's work. Someone on the latest post on my blog was rueing the fact that there was not a single TV channel that commemorated Mohammed Rafi's death anniversary yesterday. If that is the fate of a legendary singer, can you imagine who will remember your father, even though his legacy is so full of fine characters? If posterity is to remember anything about your father, other than the pitiful information that is out there on the web, it will be through your blog, and your memories. And now I hope I have made you feel that you have to continue! *grin* But seriously, it has been an interesting journey so far, and I, for one, would definitely like to know more. So, please, share as much as you can! I haven't commented on your blog much, Shilpi but I read every one of your posts and this talk of possibly ending the blog after a couple more posts alarms me greatly. PLEASE don't stop. As Anu and Madhu have said, your blog is a treasure. Not just for the insight it provides into the life and work of your father but also for it's archival value in memorializing an era in Hindi cinema. The details and memories you so generously share are unmatched. Please continue sharing. Thanks Shalini, I will be continuing. I replied to your comment yesterday Shalini hope you saw it, spam comments have been driving me crazy as a result my replies have disappeared. While deleting spam comments I do not know hoe I ended up deleting my own comments, but I guess all of you have seen the replies I posted earlier. So glad that this was not your last post. Wonderful idea to post the songs from your father's films. if you allow, I would like to correct the line from "o jaanewale", it is dhoondenge tujhe gali gali sab ye gam ke maare. LOVE this song, although I'm not a big fan of Mukesh. "raathon ke saayen ghane" is also an old fav of mine. Thanks for correcting me Harvey, if you notice I have made the correction. Glad you liked the post.